Need an open but private outdoor living space? No problem, Archadeck of Central South Carolina can do that! Although you don’t want to feel hemmed in while enjoying time in your backyard, when you are relaxing or entertaining, a level of privacy is still very desirable. Often the proximity of a neighbor’s backyard or outdoor living space is just right to provide a clear view into your backyard. Unfortunately, if this is the case for you and your neighbors, your tranquil place to dine, read a book or just unwind after a long day can quickly feel too crowded. If you are considering an improvement to an existing space or the addition of a new outdoor structure that preserves your privacy but also retains the openness of being outdoors, Archadeck of Central South Carolina is this area’s leading custom designer and builder of outdoor living spaces. We can create a space for you that’s the perfect balance of both open and private, as is evident in many of the custom designs we’ve provided for other South Carolina homeowners. Louvred privacy wall from the side of deck in Forest Acres in Columbia, SC. We work closely with our clients to design the outdoor living space that best suits their needs while fulfilling their wants as well. When working through the preliminary design stage, it’s also important to consider the correlation between your backyard and that of your neighbors, how the proximity will affect the way you use your new space, and the views looking in and out. An outdoor space addition can bring a change in elevation from the grade of the property. Your view of the surrounding perimeter, and potentially your neighbors’, will change, enabling visibility from several angles where there was none previously. One of our most successful projects demonstrating the balance of openness and privacy within the same design was built for homeowners in Columbia, SC. A couple of years ago we completed a composite deck for them, and although they loved their new deck, after several opportunities to use it, they soon realized they needed a way to separate their view from that of the neighbors. 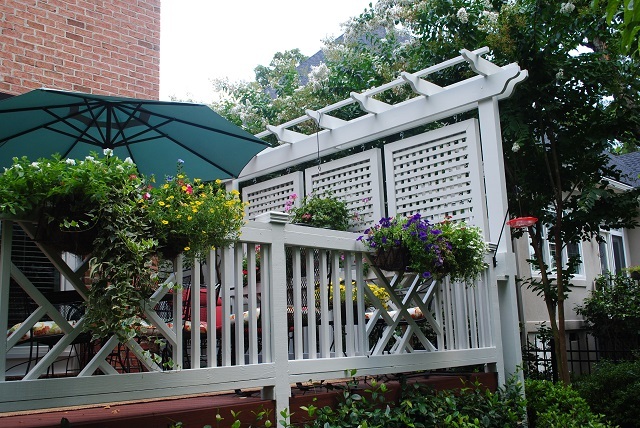 By using innovative framed panels of vertical lattice suspended from a detailed pergola frame, we created a custom privacy fence design for the deck that solved the problem. The finished project not only provided privacy from prying eyes, it also became a stunning design element and created a focal point. 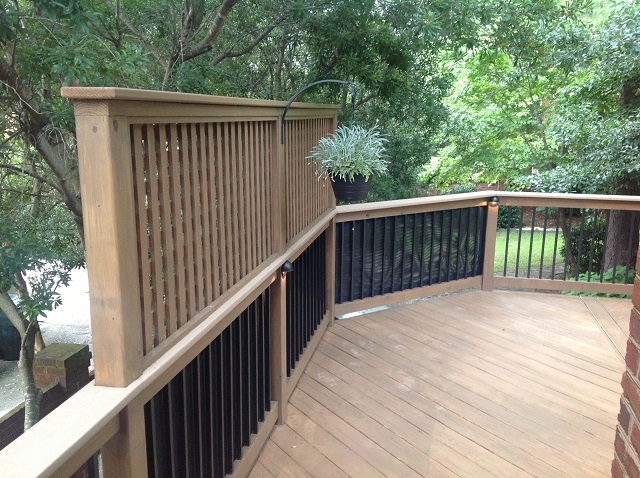 Columbia, SC, deck and privacy screen by Archadeck of Central SC. Screen porches naturally provide privacy while enhancing the aesthetics of your functional spaces tremendously. If a screened porch is the type of structure you prefer, you may find that a traditional screen doesn’t create enough privacy for you. We can install a screening material that restricts the visibility from the outside but still allows ventilation with an unobstructed view of your surrounding property from within the structure. Additionally, a pergola also makes a perfect companion for a spa or poolside and offers a certain degree of privacy by keeping prying eyes from looking directly into your pool or spa space. Archadeck of Central South Carolina has been helping homeowners find the right privacy solutions for their outdoor living spaces for many years. How you will use your space, and your privacy needs, are something we discuss and build into your design when planning your outdoor space. Keep in mind all yards are different and certain privacy solutions will work well with certain yards, decks, porches and existing features while others will not. We are experts at designing privacy solutions that will not draw attention but blend with the structure or area where they are located. 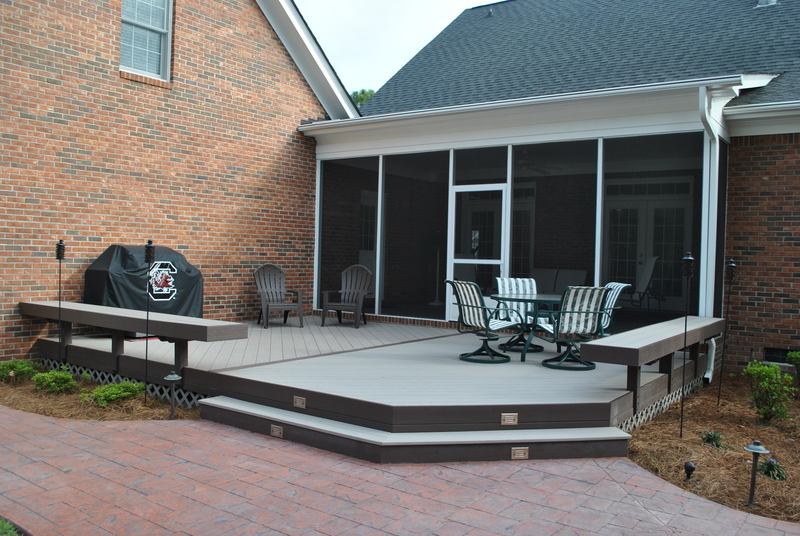 Contact Archadeck of Central South Carolina today to learn more about our personalized outdoor living spaces today! 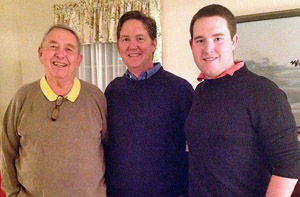 You may reach us by phone at (803) 603-2160, or via email at centralsc@archadeck.net. This entry was posted in Custom privacy screen options, Deck design, Decks, Pergolas and Trellises, Privacy Decks and tagged Archadeck of Central South Carolina, Central SC deck builder, Central SC outdoor rooms, Columbia SC custom privacy decks, Columbia SC Deck Builder, Columbia SC outdoor living, Columbia SC outdoor structure planning, Columbia SC privacy deck builder, Columbia SC privacy decks, Custom privacy options for your Columbia SC outdoor structure, Custom privacy screen options, Deck design, How to add privacy to your Columbia SC outdoor living space, Is privacy a factor that is important to you in your outdoor living space, Privacy Decks Archadeck of Central SC, Privacy solutions for composite decks in Columbia SC, Privacy solutions for your Columbia SC deck, Unique privacy solutions for your Central SC outdoor space, Unique privacy solutions for your Columbia SC outdoor space on July 28, 2015 by archadeckofcentralsc. 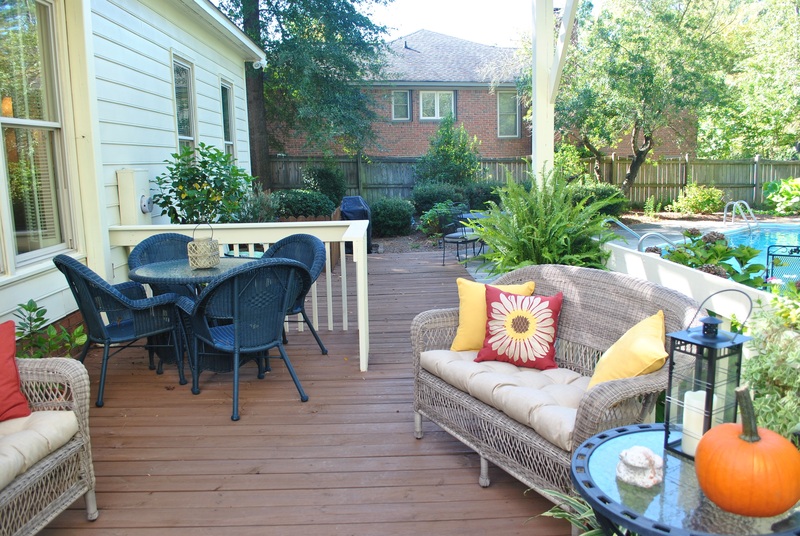 This Irmo, SC, deck gets a makeover and much more! Welcome to this updated backyard paradise in Irmo, SC. Our recent project in Irmo, SC, is the perfect example of a successful union of combining the two Outdoor Living Brand franchises we own and operate in Central SC. On this project Archadeck of Central SC and our sister franchise, Renew Crew of Central SC, worked together to breathe new life into this backyard deck. The project was multi-faceted and resulted in an outdoor living space that is pleasing to the eye and a joy for the homeowner to use. When we initially met with the homeowner, she expressed the need to refresh the tired finish of their existing backyard deck. In addition, she also wanted to amend the space in order to enjoy the area overlooking the backyard pool. This portion of the deck receives a great deal of afternoon sun and her wish was to add a shade structure. Deck following Renew Crew’s three-step renewal process. Archadeck and Renew Crew of Central SC came up with the perfect answer to giving this homeowner exactly what she yearned for. By combining forces we were able to breathe years of life into her existing deck and build the shade structure she had in mind. 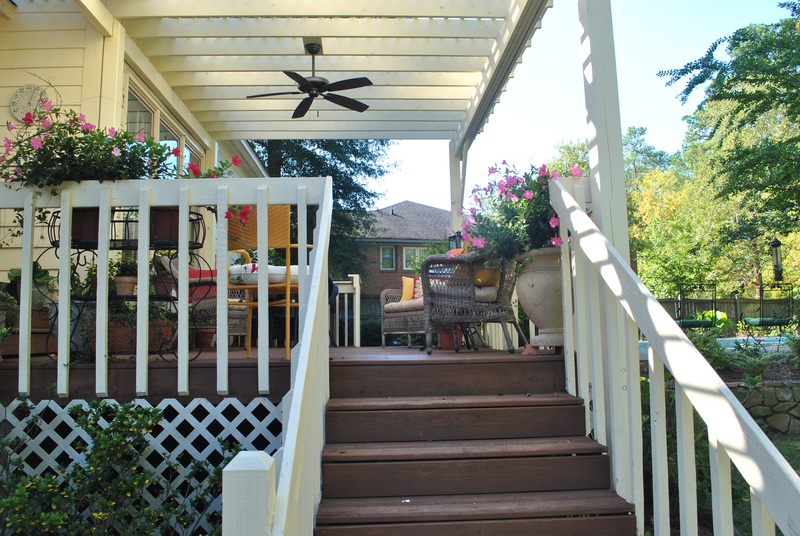 The first phase of this backyard makeover was the addition of the charming wooden shade pergola over the existing deck. Archadeck of Central SC carefully designed the new structure, considering the placement of the pergola in correlation with the sun, and maintaining the integrity of the existing home and surrounding space. The finished project looks original to this Irmo backyard and promises hours of solace from the sun. The new pergola also serves to unify the existing spaces into a spacious backyard paradise. 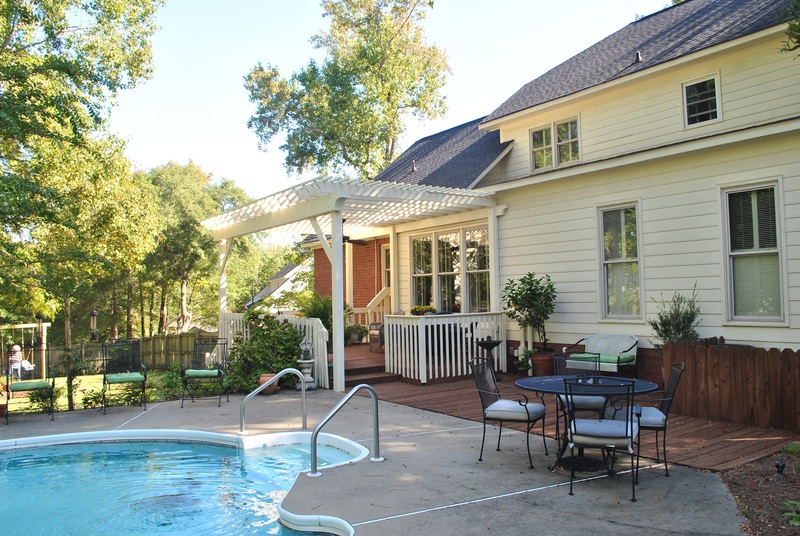 Imagine sitting beneath the pergola on a humid SC afternoon, undaunted by the temperature, with the ceiling fan cooling you off and a tall, icy drink in your hand! Renew Crew then cleaned, stained and sealed the existing deck using our eco-friendly three-step process. This process lifts the years of dirt and grime and safely cleans without the use of harsh chemicals. We then used a non-damaging controlled pressure wash to rinse it away, Our final step sealed in the beauty of the deck and will protect against the elements for continued enjoyment. 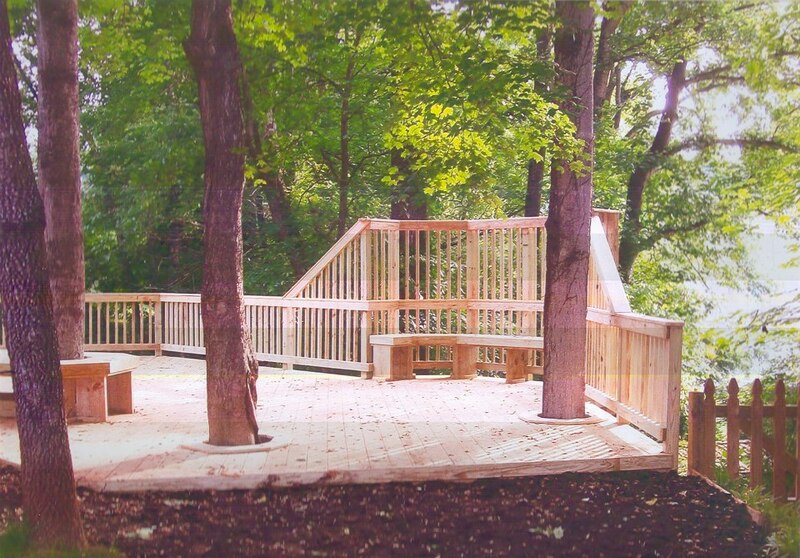 If your existing outdoor space is in need of a makeover, consider the results you can achieve in your backyard with Archadeck of Central SC and Renew Crew on your team! Contact us today at (803) 603 – 2160, or via email at centralsc@archadeck.net to schedule your free consultation. This entry was posted in Custom Garden Structures and Detached Outdoor Rooms, Custom Outdoor Living Designer & Builder, Importance of Deck Maintenance, Outdoor Living, Pergolas and Trellises, Shade Structures, Wooden Deck Maintenance and tagged Archadeck of Central SC, Archadeck of Central South Carolina, Central SC pergola builder, Columbia SC outdoor living, Irmo SC outdoor living improvements, Irmo SC pergola builder, Renew Crew of Central SC, Transform your aging wood deck with Renew Crew of Central SC, wooden shade pergola over existing deck in Irmo SC on October 21, 2014 by archadeckofcentralsc. Archadeck of Central South Carolina Pergola 101: Shedding light on why the pergola is so hot! 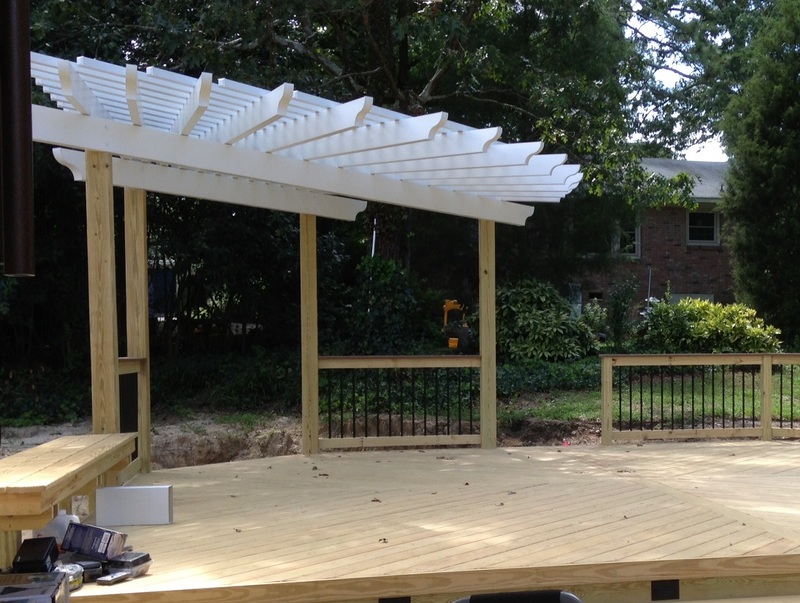 Details of a custom aluminum pergola that graces this wooden deck in West Columbia, SC. Turn on any one of a number of home & garden channels and you are destined to see an elegant pergola taking center stage. Pick up any home and garden magazine and you will notice the glossy pages are filled with images of pergolas. 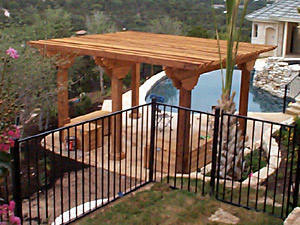 Pergolas have risen to the top of the “must have” list for homeowners upgrading or planning a new outdoor living space. 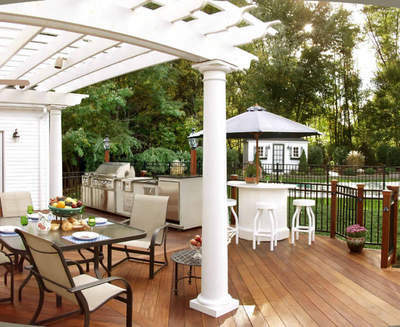 Pergolas may seem simple in terms of their construction, but this winning structure can be as simple or as detailed as you wish, from a romantic arched beauty in the backyard to a masculine- influenced feature of an outdoor kitchen or patio. Pergolas serve many aesthetic and functional duties and come in many styles, sizes and materials. We have watched the popularity of the pergola grow over the past few years. Whether used alone in the landscape or garden as a shade structure, or in conjunction with another outdoor living structure, the pergola has become a timeless backyard fixture in its own right. Deck with outdoor kitchen and pergola. Pergolas can be used to add depth and help define a deck or patio.They can be placed within a landscape with seating or even a swing or hammock to create a special spot where you can read or just relax. Pergolas also allow creative freedom because there are several kinds of materials you can use for your design.This will help you create an eclectic space that is truly one-of-a-kind. Exploring the pergola’s masculine side – the character you build into your pergola is determined by its size and the type of materials you choose for its construction. Natural cedar beams, or beams wrapped with cedar and stained in natural wooden tones will create a rustic feel to your pergola and the outdoor living space it is a part of. The pergola as the true romantic – pergolas can also be designed to emulate nature and invite relaxation within your landscape. You will often see the pergola portrayed as a romantic centerpiece in the garden. You may ask what is the secret to designing a romantic pergola? The key is in the details. Arches, Ogee ends, smaller beams, ornate details and even opting to stain or paint your pergola white rather than leaving it natural will help achieve a romantic look and feel if that’s what you want. This beefy timbered poolside pergola features a top portion of closely positioned rafters, providing maximum shade. We design and build pergolas to accommodate the various needs of our clients. Aside from the obvious visual appeal they add to your home and landscape, shade is often the primary reason homeowners build pergolas. Pergolas do deliver a measure of shade to a sunny outdoor space. 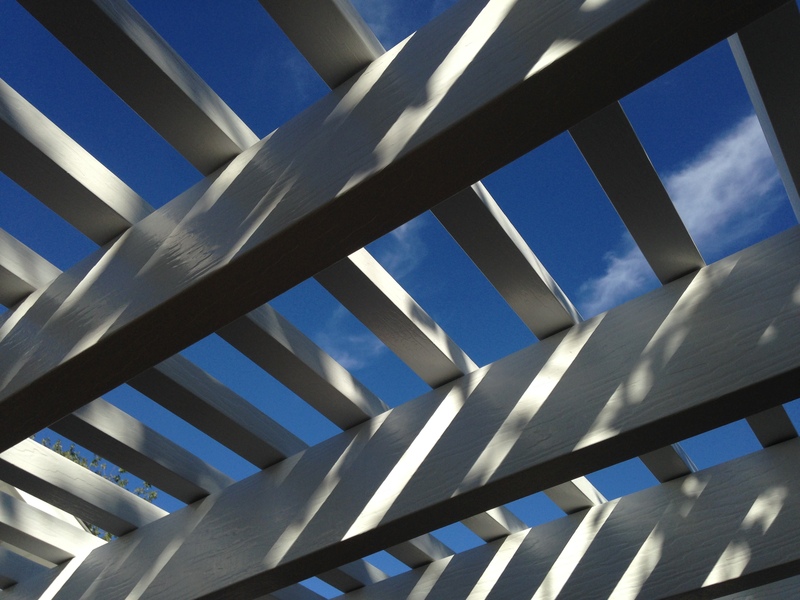 The amount of shade a pergola can provide is dependent on the construction details of the pergola itself. A pergola that is built with wider rafters or cross beams that are placed closer together will provide more shade than one built with these elements spanning farther apart. However, all shade factors are influenced by the placement of your pergola in correlation to the direction and amount of sunlight your location receives. Keep in mind this can change with the seasons as well. Be aware, when choosing your pergola design, wood pergolas will require maintenance. 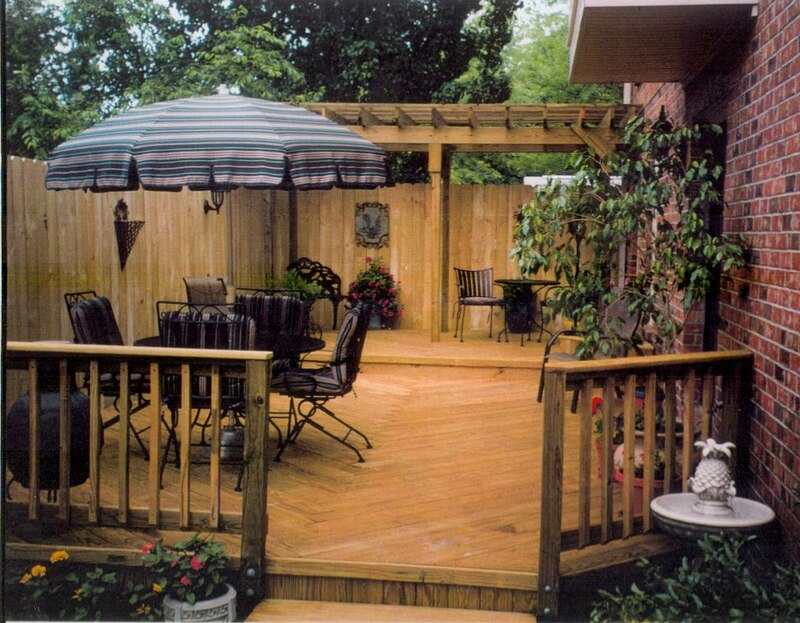 This includes staining and painting which can sometimes be a cumbersome task due to the intricacies of some pergolas. Aluminum is a clean, lightweight option that doesn’t need painting. If you want the ambiance and function a pergola provides without the chore of maintenance, these alternative materials will fit the bill. 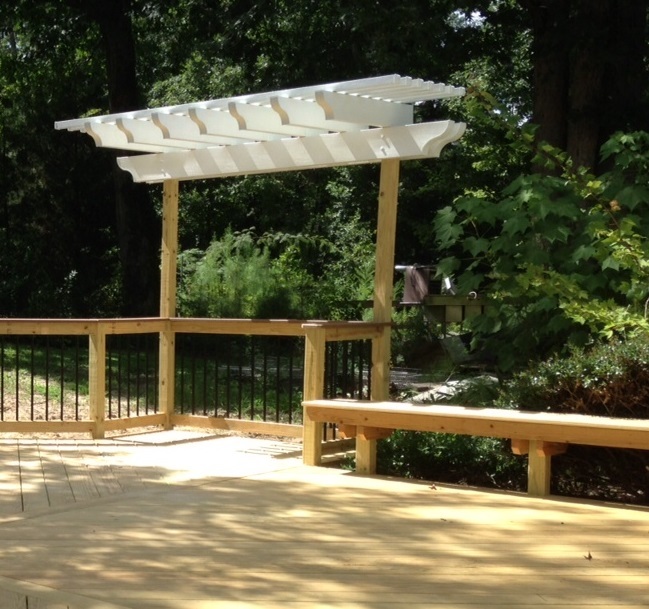 Wooden deck with aluminum pergola in West Columbia by Archadeck of Central SC. 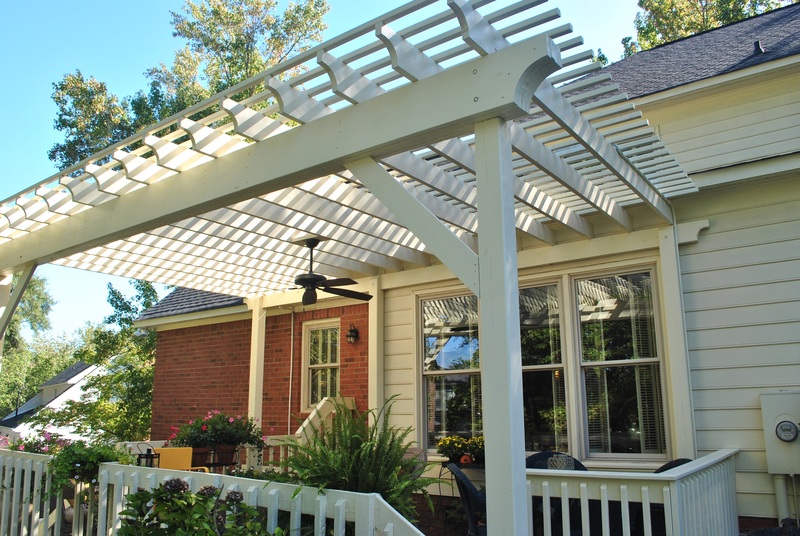 In addition to designing the pergola to deliver the most shade benefits, homeowners can also add shade canopies, awnings or curtains to their pergola to create even more protection from the sun. Many of these options look quite nice and are treated with additional sunscreen protection to help block the UVA and UVB rays from the sun. 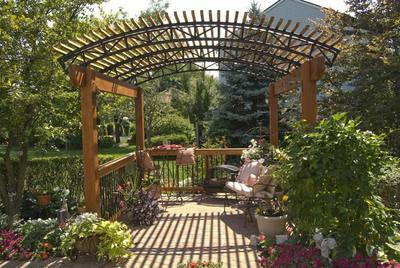 There are many ways a pergola can dress up a backyard. 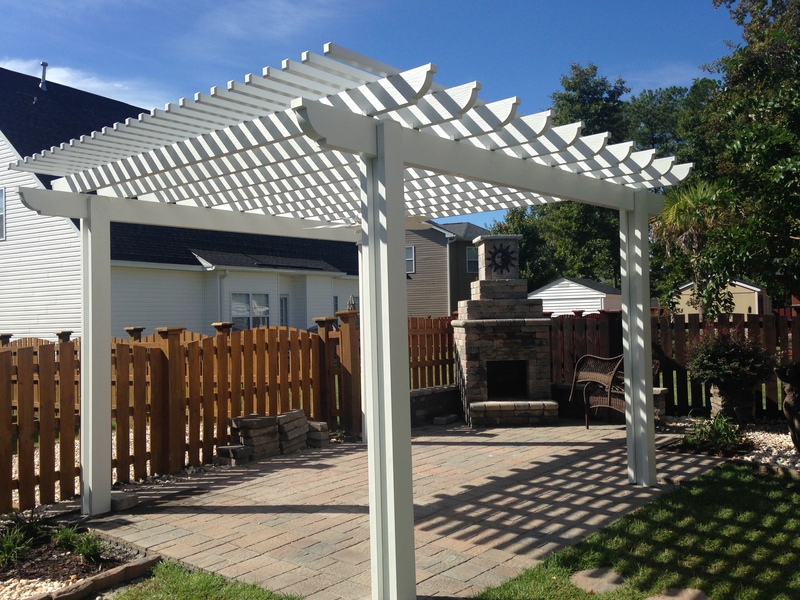 A pergola can be a cost-effective way to add character and style to your oudoor living space while serving as a unique shade structure. This entry was posted in Custom pergola designs, Deck and pergola combinations, Outdoor Living, Outdoor living combination structures, Pergolas and Trellises and tagged Archadeck of Central SC, Archadeck of Central South Carolina, Central SC outdoor living combination builder, Central SC pergola builder, Columbia pergola builder, Columbia SC romantic pergolas, Columbia SC rustic pergolas on April 30, 2014 by archadeckofcentralsc. An outdoor oasis with pergola in Columbia, SC. Arbors, trellises, and pergolas are a great way to add character to your deck, patio and landscape because they add a vertical element that is often lacking. You might have noticed these structures used in historical illustrations and artwork. The appeal of these elegant outdoor structures has spanned many generations. They have been around for hundreds of years. We can trace the origins of the pergola all the way back to the 1654 when it was borrowed from the Italian word, pergula, meaning a projected eave. Of course, the Italians were believed to have used the pergola for growing grapes and other climbing vegetation. Since the pergola’s vertical design allows vegetation to grow upward, it allows for better use of space. The modern pergola has moved out of the vineyards and into the backyard as an elemental design piece that is not only beautiful but also multi-functional. 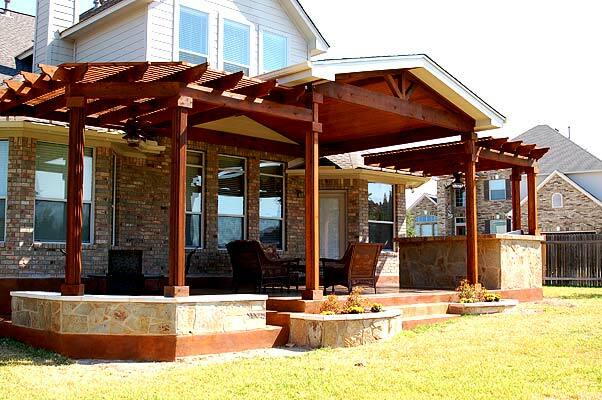 Archadeck of Central SC is the area’s premier pergola builder and our pergola designs can be as simplistic or ornate as our customers see fit, from two-beam, or four-beam, wall mount or detached designs, the choices are endless. Pergolas are one of the most versatile of all outdoor structures because they provide benefit for many locations and purposes within the landscape. They come in all shapes and sizes and can be built from many different materials. The posts of the pergola can be decorative or wrapped to match the architecture and style of your home. This ensures a one-of-a-kind pergola custom-built just for you. They can be outfitted with accoutrements such as hammocks, benches and swings and can be wired for ceiling fans or even speakers. Pergolas add an air of romance when used as a freestanding structure, often referred to as an arbor or trellis, within the landscape and as an accompaniment to other outdoor living spaces, just for starters. 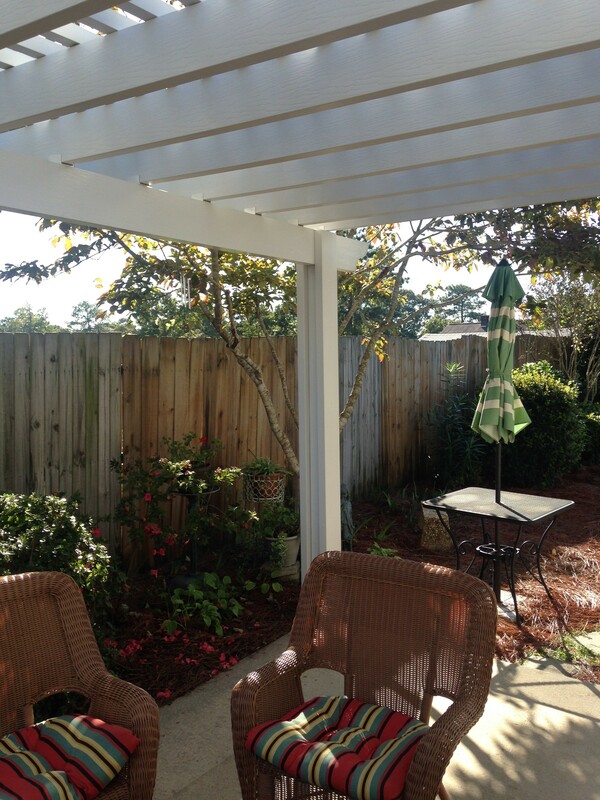 Here is a peek into the pergola possibilities Archadeck of Central SC can provide in your backyard. 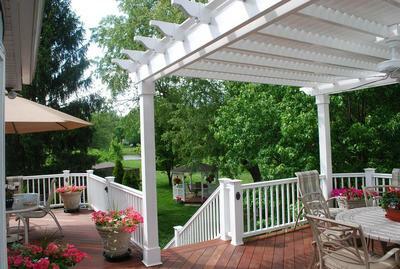 This spacious pergola offers this deck aesthetic value and shade benefits. Pergolas play the role of a shade structure to rave reviews when used as part of an outdoor living combination. 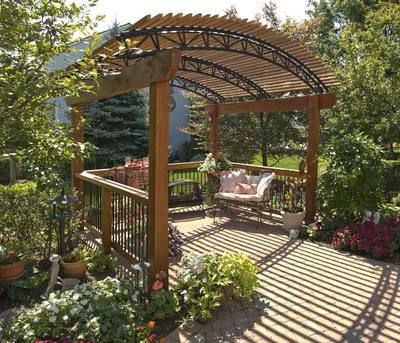 A pergola design can help block out heat and the sun’s harmful rays. How closely the upper portioned slats (purlins) are constructed will determine how much shade and sun protection the pergola will provide. A pergola adds charm, beauty and extended function to your deck or patio space along with much-needed shade if the configuration of your outdoor space receives a lot of sun. We can even install a tinted polycarbonate cover to further block the sun’s harmful rays. If these are installed on a slight slant they will allow water to drain properly, too. Deck with kitchen and pergola. Notice how the pergola defines the dining space. A pergola can add sizzle to the style of your integrated outdoor kitchen design. Many times, an outdoor kitchen or dining area will appear “lost” within an outdoor living combination space. By using the pergola to flank the dimensions of your dining areas or outdoor kitchen, you can enhance the aesthetics of your functional spaces tremendously. A pergola also makes a perfect companion spa or poolside and offers a certain degree of privacy by keeping prying eyes from looking directly into your pool or spa space. To see more examples of pergolas please visit our pergola and trellis photo gallery located on our website. This entry was posted in Outdoor Living, Outdoor living combination structures, Pergolas and Trellises, Shade Structures and tagged Archadeck of Central SC, Archadeck of Central South Carolina, Central SC combination outdoor living spaces, Central SC custom deck and pergola combinations, Central SC deck and pergola combinations, Central SC deck builder, Central SC deck designs, Central SC outdoor living combination builder, Central SC outdoor living combinations, Central SC pergola builder, Central SC pergolas, Central SC pergolas as shade structures for decks, Central SC Privacy decks with pergolas, Central SC spa decks and pergolas, West Columbia SC aluminum pergolas, West Columbia SC beautiful pergolas, West Columbia SC custom deck and pergola combinations, West Columbia SC deck and pergola combinations, West Columbia SC pergola builder, West Columbia SC pergolas on December 5, 2013 by archadeckofcentralsc.